North West London NW Upholstered & Leather Sofa Steam, Dry Cleaning | Quality Property Care Ltd.
Is your sofa covered with nasty spots and you are thinking about changing it? Well, there is an easier and cheaper option - call Quality Property Care Ltd.. The professional sofa and upholstery cleaning company provides efficient and risk-free stain treatment. The upholstery cleaning company can clean any kind of sofa: convertible sofa, couch or settee, traditional sofa, loveseat, divan, settee, sofa bed, hide-a-bed, sectional sofa, couch bed, sleeper sofa. The expert upholstery cleaning is done by insured, trained, vetted and experienced cleaners. Suitable for commercial and residential cleaning needs. Available everyday at the best upholstery cleaning prices in North West London NW and the area. Last, but not least, let`s not forget the Suede Sofa Cleaning in North West London NW - the modern and ultimate approach into removing stains, dust and bacteria out of your brand new or expensive suede upholstery furniture. Dry cleaning is used due to the high level of delicacy of this materials. The procedure is recommended for velvet, suede and other sensitive materials. 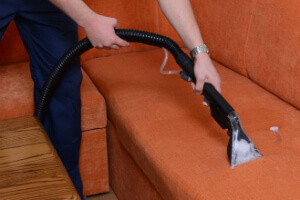 If you order upholstery cleaning in North West London NW from Quality Property Care Ltd. and another service you will receive a unique discount. We recommend you take benefits of mattress cleaning + bed bug mattress. Your bed hygiene is as important as your home sofa cleanliness and perfect look. The mattress procedure removes and destroys dust mites, fungal spores, bacteria and other harmful debris. It works with intensity ultra-violet light, and all dust and debris are gone. Be sure that we remove dust allergies for healthy measure of safety, because it can cause depression, runny nose, asthma, itchy eyes, headaches and eczema. Mattress cleaning offer is suitable for hotels, hostels, hospitals and everything that has beds. Unlike most expert sofa cleaning companies, Quality Property Care Ltd. has developed only two specific formulas. They are upholstery cleaning services inNorth West London NW that are devoted to the luxurious leather sofas and the delicate suede sofa cleaning. For leather cleaning we offer crack filler with mat leather, leather rejuvenator, different colours and foam leather cleaner. As to the suede upholstery, we can sanitize suede, velvet and other delicate materials. Here dry cleaning is used to protect the fibers from tearing and damaging. 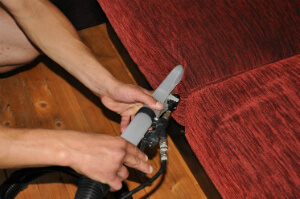 Rely on our trustworthy upholstery cleaning company in North West London NW! Make sure you do everything possible to keep your classy upholstery in a top condition! Call us on 020 3746 4287 and get a free quote today! Make an order right away!